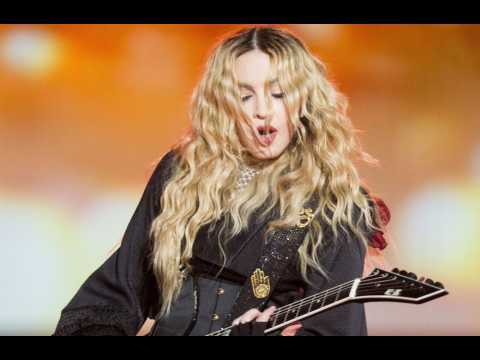 Fans and activists are urging Madonna to re-think her plans to perform at next month's Eurovision Song Contest in Israel and instead boycott the event. According to a report by Reuters, on Wednesday, Congress introduced a bill that would subject the United States' legal sports betting market to federal oversight, a bill almost guaranteed to face opposition from the casino industry and some states. The bill was reportedly introduced by Republican Senator Orrin Hatch and Democratic Senator Charles Schumer, and is aimed at protecting consumers and sports integrity and would require states to attain federal approval in order to run a sports betting program. Reuters reports that states like New Jersey, which has long looked to capitalize on sports betting by legalizing and taxing it, will likely be upset over any attempt at federal oversight. Zac Efron has a new love in his life… a rescue pup named Maca. AT&T has a brand-new promo for Justice League that puts the spotlight on Aquaman. Yesterday, Jason Momoa announced the beginning of #AquamanWeek in an effort to familiarize audiences with the new approach to the often maligned ruler of the seven seas. Of course, the new video makes it clear that Aquaman isn’t the king yet. Along with footage of Aquaman’s best moments from the trailers so far, Momoa dives into what makes Aquaman distinct from the other heroes. As someone who walks between two worlds, he shares a lot in common with Wonder Woman and also has a bond with Cyborg.